Cream butter, icing sugar and salt until fluffy. Sift flour onto the worktop and make a hole in the center. Add in the butter mixture. Knead to soft dough, cover and set aside for about 30 minutes. Press a small piece of dough into each greased tart tin. Trim the edges with a sharp knife. (please refer this step from my previous post Potato Pie) Bake at preheated oven 180 degrees C for 10 minutes. Peel and seed pumpkin. Cut into small pieces and steam until done, about 10 minutes. Mash cooked pumpkin with a fork and combine sugar, egg and ground almond together to a thick paste. Fill piping bag with paste and pipe it on the prepared tarts. Garnish with almond flakes. Bake at 180 degrees C for about 20 minutes. 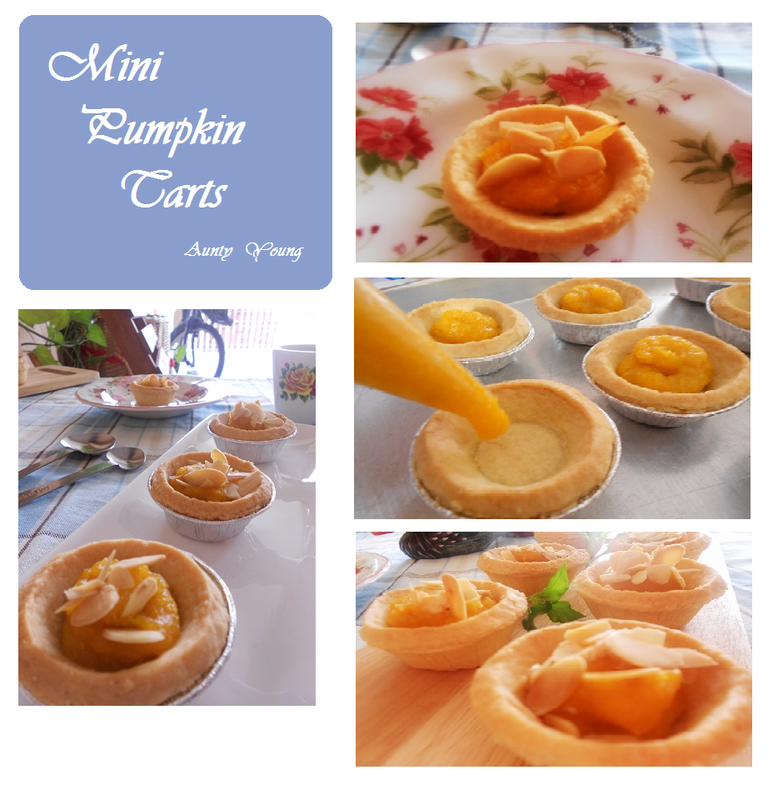 I liked your mini pumpkin tarts. I have bookmarked this.